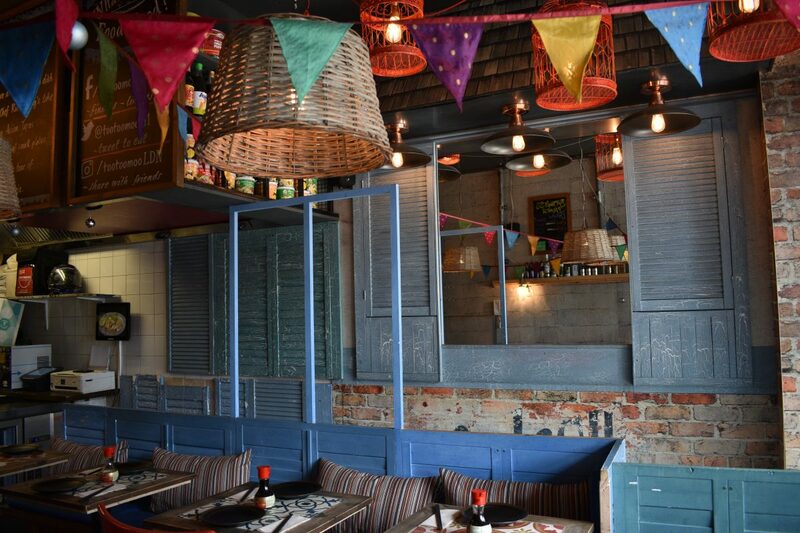 Tootoomoo is an Pan Asian restaurant in London with locations in Islington, Crouch End and Whetstone. 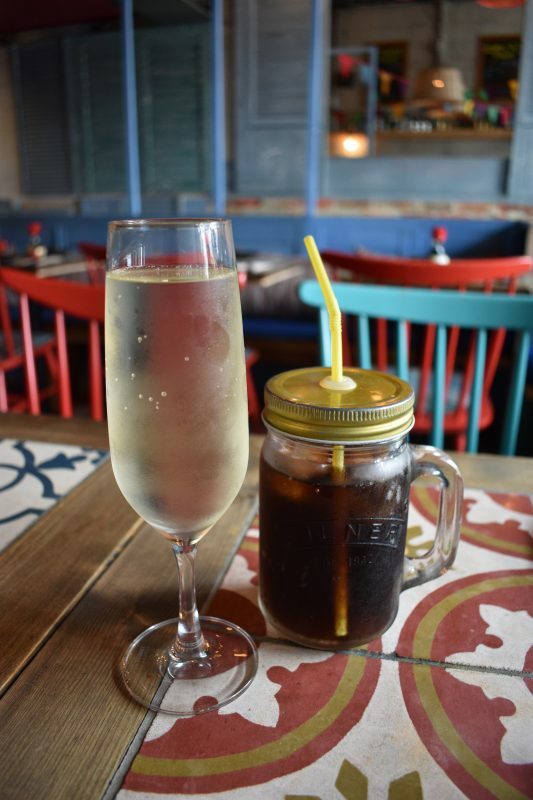 We visited the Islington branch to try out their new bottomless brunch. The deal is three courses and unlimited beer or prosecco for an hour and a half (£29.95pp) or two hours (£34.95pp) available at weekends from 12-5pm. 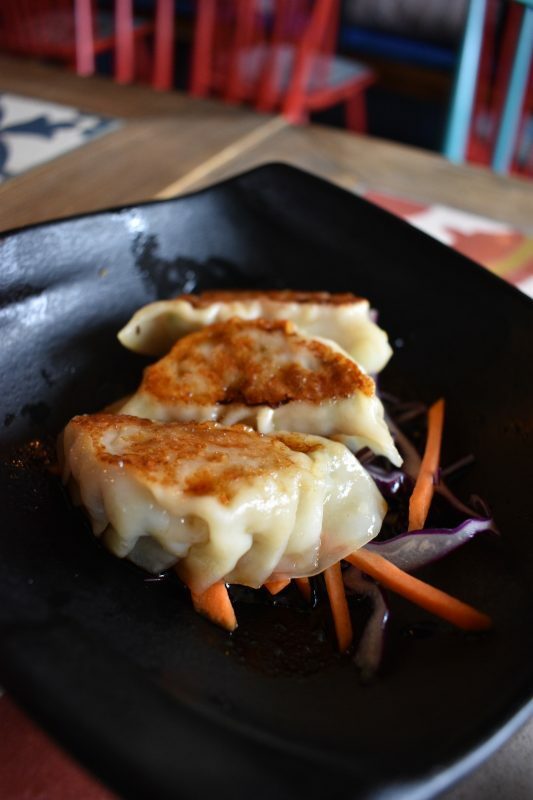 You can select one starter, one type of dumpling and a main of noodles or rice and can add dessert for £5pp. We opted for the Veggie spring rolls (vegan), Edamame (vegan), Crispy duck rolls and Chicken gyoza to start. 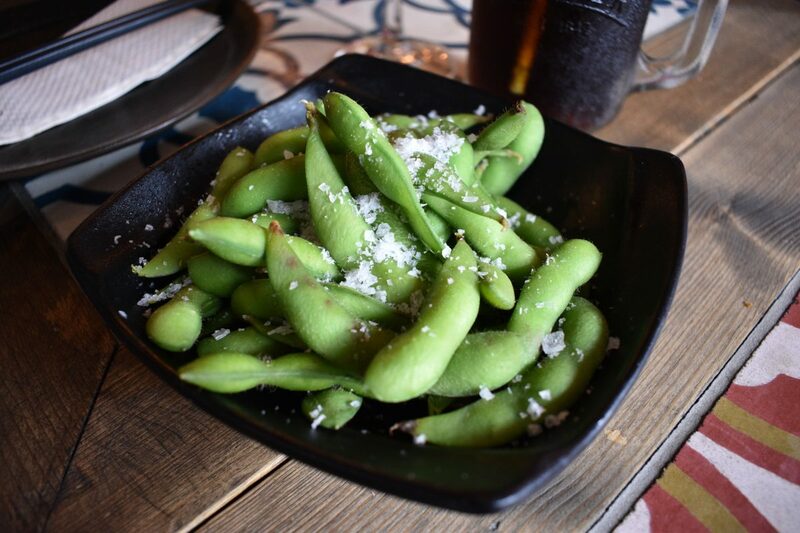 The Edamame was a great big portion of lovely fresh beans and covered in salt – perfection! 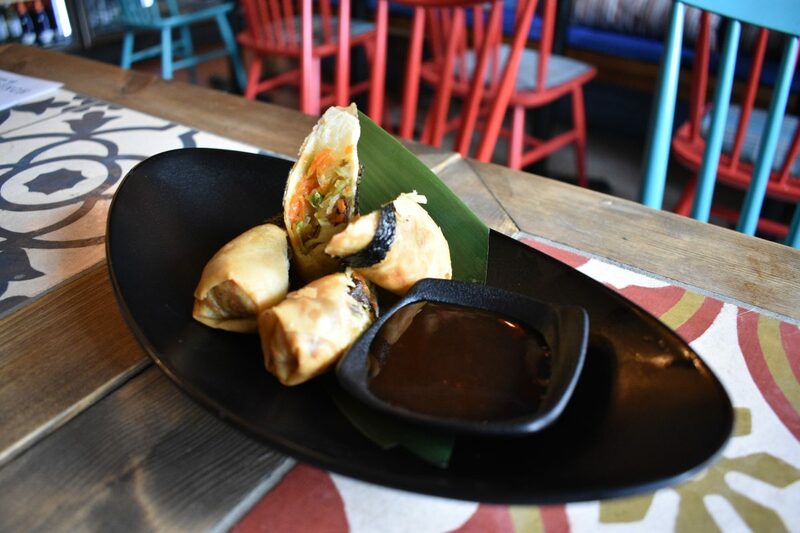 Both the spring rolls were crispy and delicious with sauces of sweet chilli and hoisin. The gyoza were delicious and cooked perfectly with a good amount of crispiness. For our mains we had the Bún Ga: vermicelli, grilled chicken satay, beansprout salad & sweet chilli. 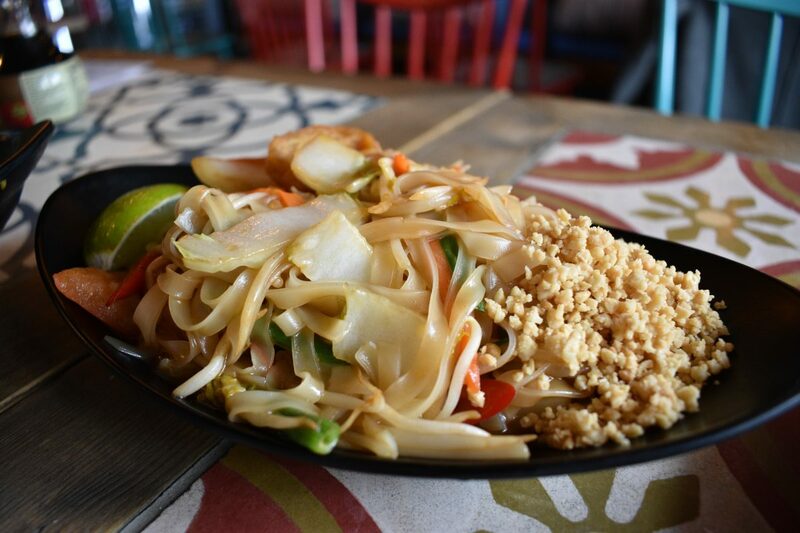 We also opted for the Pad Thai Veggie: egg, chilli, assorted vegetables, tofu, lime & peanut. You can make this dish vegan by removing the eff. 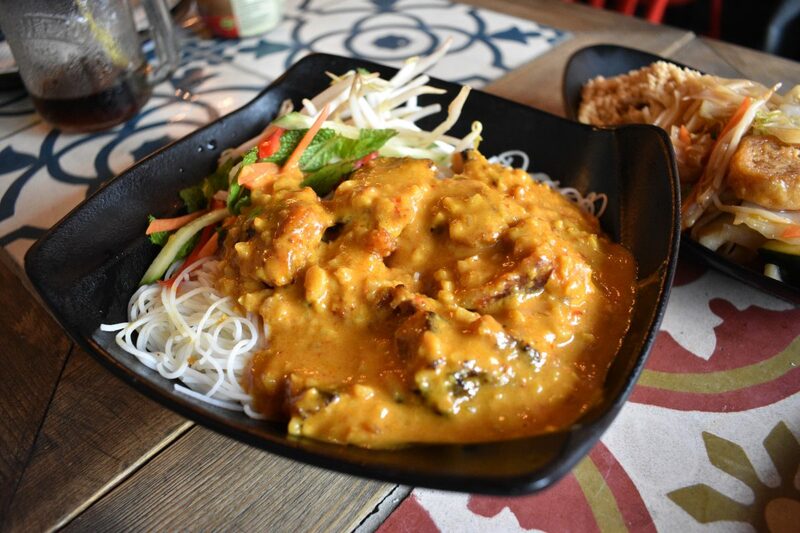 The Bún Ga was a bed of rice noodles topped with a chicken satay sauce with chunks of grilled chicken. It was flavoursome whilst not being too spicy sauce and rather moreish! The salad had mint running through it which was a tasty addition to the noodles. The Pad Thai was equally good – full of veggies with big chunks of flavour filled fried tofu…delicious! The food was consistently good and not too heavy which is always the risk with a three course brunch. We did not have to ask the staff to fill up our glasses (yey!) and they were very helpful and friendly throughout the meal. The restaurant itself is small but pretty with big wide windows with the sun streaming through. For a bottomless brunch, particularly for vegans, it is a great shout. Tootoomoo is also open for dinner and is definitely worth checking out if you are looking for a Pan Asian restaurant in London.